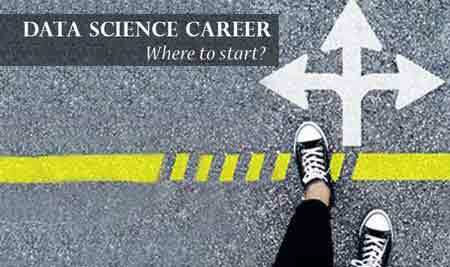 Ready for Career as Data Scientist? 1.5 million exciting job opportunities across the globe. Highest Paying Jobs - Average pay of $1,38,000 p.a. If u want to start ur career as a data scientist in short span of time ..I would suggest DATAMITES institute, it’s great place to learn. Trainer, Mr.Ashok has been excellent and he covered almost all algorithms in Machine learning and good knowledge on statistics too. He will connect every problem with real time examples that will help us to learn quickly. All the best to all ..happy learning. Best place to learn Data science course, couching is best by the trainer Ashok, his knowledge on data science is very good. we can gain very good knowledge by doing projects provided by Datamites. Overall very good place to get certified on Data science. A good institute for people who want to start their carieer in data science or machine learning. Excellent tutor.. Ashok is very patient and experienced person... Thank you sir, that has been a wonderful journey. If you are new to analytics, this is a great place to start the beginners level. Even if you do not know coding, just put a little effort and you will be fine. Ashok is very good at what he teaches especially machine learning Regarding improvement, a bit more detailed coverage regarding statistics concepts is required. I had attended the training at Datamites. Training has been excellent. Trainer Ashok has been excellent. He will explain every topic with its physical meaning and background theory. Also he address with clear explanation, even if query looks simple. It's very good institute for Data Science and Machine Learning. Trainer(Ashok) is very good and helpful. Trainer will teach Data Science and Machine Learning with Python. He will also teach basic of Deep Learning and Tableau. overall it's very good place to learn Data Science and Machine Learning for both technical and non-technical people. We search a lot of courses online to learn data science and machine learning. Trust me the subject and its application is massive. Its not a joke to learn such a subject in a short period of time. I recommend the course for everyone who are interested in starting their journey towards DS & ML. Every single penny spent here is worth it. Trust me you will not be disappointed. Trainer Ashok is exceptionally good. Best part of the Training is along with Theory concepts, we are asked to practice live in the class itself. All essential things are covered to start our journey in Data Science domain. Apart from the Training aspect, job assistance and support from PAT Team should be improved. Response rate is low. It's very good institute for Data Science and Machine Learning. Trainer(Ashok) is very good and helpful. Trainer will teach Data Science and Machine Learning with Python. He will also teach basic of Deep Learning and Tableau. overall it's very good place to learn Data Science and Machine Learning for both technical and non-technical people. This is my third week into the Certified Data Scientist program. I am very much impressed by the training sessions conducted by the trainer Mr.Ashok. His classroom sessions have been exceptionally professional , also very easy to follow the concepts and on hands sessions. The clarifications and example he quotes are really practically and you can related to them easily. He also shares very useful articles and trends in the Data Science field. So far So good!. . A really good place to start your data science career. Mr. Ashok has exceptional knowledge in the field and provides great training. The projects given help immensly with hands on experience. Feel so satisfied with the training going on. The trainer (ASHOK) explains each topic in detail. Quires are clearly explained within the training session . A non techie guy can also understand the exact work flow of any ML(machine learning) and work on any project related. His teaching and command on Data science helps us to learn and explore more on Data-science in short period. Its a good choice to get associated with Datamites. Ashok makes Data-science much easier. Good place to start the career in Data Science. Lot of diversity among students from across the country. The speed at which the topics are taken is challenging but manageable. Lot of assistance from staff and peers! It is my third week in the Certified Data Scientist program at Datamites and so far the learning experience is very satisfying. I have attended a few online courses on this subject and say confidently that Prof. Ashok is one of the best to train this subject. He is very approachable, friendly and teaches with high-energy. Our batch is a mix of students with and without CS background and he handles the expectations seamlessly. The response time from their administrative team Ms. Jessy is also very good. We search a lot of courses online to learn data science and machine learning. Trust me the subject and its application is massive. Its not a joke to learn such a subject in a short period of time. But Ashok (The trainer) makes life easy for you in this journey of getting acquainted with data science and ML. His experience is vast and the way he teaches is very easy to understand. Though i am not from engineering background, i am able to create models and understand python as a language and apply it. I recommend the course for everyone who are interested in starting their journey towards DS & ML. Every single penny spent here is worth it. Trust me you will not be disappointed. Ashok, is an amazing teacher with the ability to make students grasp difficult concepts with ease. Certified Data Scientist program is a nice starting point for beginners who are completely new to data science and machine learning. Suggestion to Datamites. This course curriculum needs to be revisited as 8 days is less for this course. Ideal is around 12 days. Advanced topic should be covered in detail. Datamites is an excellent place to learn Data Science. Course material is very good and I was lucky to get training from Mr. Ashok who has a wide knowledge and experience in this domain and was always ready to clear all the doubts whenever we asked. . Thank you team Datamites . I will strongly recommend this course. Great place to start!! Topics covered and examples given are perfect . Mr. Ashok is highly knowledgeable and the staff members were friendly worth it. Datamites is one of the Excellent place for Data Science. The management is Awesome. My trainer Mr. Ashok Kumar is Excellent Coach for Data science. I would like to take this movement and thank you my trainer and management for their support in my learning. Thank you Ashok sir and Thank you datamites team. Regards, Ramdas. Datamites is not just a institute - its a place to specialize in Data Science . I got a chance to learn from experienced trainers. Join courses here if you want to get 'the real ' experience on Data Science and how it is maturing as an industry. Recommended institute also for IT seniors looking to re-skill. DataMites Is a great place to gain knowledge compaire to other traning institute in Bangalore.It's Excellent place to learn Data science and Machine Learning. The traning is highly structured and well designed for jobs in Data Science, behind this Non other one My trainer Mr. Ashok Kumar(IIMA), who is Master in Data science and Machine Learning. I am blessed to have best trainer like Ashok, its really best training institute in Bangalore. Finally I show a Immune gratitude towards trainer and staff. Presently studying the Data Science course here under the trainer Mr. Ashok. His way of training and knowledge on the subject are excellent and I am glad that I joined Datamites. DataMites is one of the best training institute in Bangalore. It's a best place to learn Datascience and Machine learning.And the man behind this my trainer Mr.Ashok Kumar, who is master in Datascience and Machine Learning. I'm glad to learn under him. I had great time Learning with DataMites...once again a bigg Thank you for the staff and my Trainer? DataMites is the only accredited institute for Data Science I found and enrolled for the course. The training is well structured and to the point for cracking Data Science jobs. Done more projects and they promised. Trainer Mr. Ashok is from IIMA, handling Data Science projects, takes training himself. Best trainer. DataMites is the best institute for Data Science. Just go for it. Datamites is the best learning institute. Trainers are good and knowledgeable in Data science. Highly recommendable for people looking out to pursue in Data Science career. Datamites is one of the best training institute in Bengaluru. I was lucky enough to learn under Mr. Ashok Kumar who has impeccable knowlegde in Data Science and Machine Learning. I had a great learning experience in Datamites. Best place to learn data science from the master himself. Mr. Ashok is a stalwart when it comes to ML and DS. His knowledge and experience are priceless. His ways of teaching are seems less and near perfect. Cheers Datamites!! 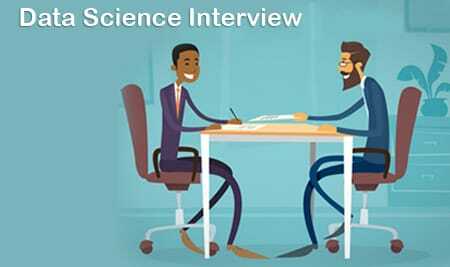 I Strongly Recommend for Data Science training in Bangalore. Excellent training program. Excellent training. Very Professional, training material and timing are good. I will recommend for python for Data science training in Bangalore. Best training institute for machine learning with data science courses... training and materials are good. Strongly recommend Datamites for data scientist training. One of the best training institutes for Machine learning with data science in Bangalore. Trainer Mr. Ashok is good and having excellent subject knowledge. Course Material also good. Overall course is well structured.. 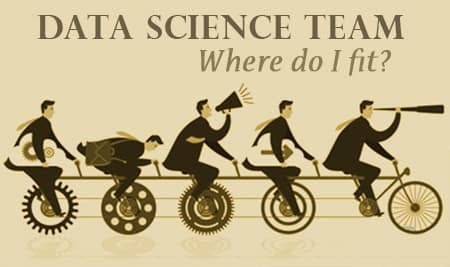 I strongly recommend Datamites for data scientist training in Bangalore..
Hello Everyone, I am Nandish Manangi and a proud Datamites evangelist. I want to take this opportunity to pen down my experience in the form of this review. First of all, I happen to meet a great scholar by name Ashok, who taught us to be aspiring in the world of Data Science. He has impeccable Data Science knowledge and experience in this domain. His real time practical examples gave us Experiential learning during our training sessions. The content from IABAC is excellent and I am privileged to be associated with Datamites. I request all students, corporate and aspiring candidates to come and enjoy a great learning experience. I am sure you will be honored to be identified as Datamites for rest of your career. Good Luck. DataMites, I recommend for Analytics training in Bangalore. Best in providing a learning environment for tools like tableau and r training so sign up for it without hesitation. Cheers !!! Appreciate the efforts by DataMites team in providing Data Science Foundation course to our batch. The course materials and assignments given by the faculties helped me a lot in understanding basic fundamentals of the course. Over ally a good learning experience for me. I enrolled for data science with R certification course and I am much satisfied with the training provided. Thanks to DataMites team to help me grabbing the concept quickly. Thank you very much Datamites, really appreciate the sessions and the staff who are strong knowledge on Data science. I recommend this institute for for Data Science beginner. Very helpful sessions for who want to start the carrier as Data Scientist..
DataMites is one of the best institutes for data science training in Bangalore. Training sessions were very interactive. Trainer has very good subject knowledge. Thank you Datamites for wonderful and fruitful training. Data Scientist - Where to Start? Do you want to become a Data Scientist? Explore the world of exciting global opportunities.